Lookn' good. How did you find the application of the OC? It was nerve racking at first. Had all kinds of problem with lighting. (Hence my post at F150OL) I was using neighbors LED work lights. OMG they are terrible for detailing. That and I couldn't get the syringe to work properly. Gloss Coat flashes very fast. Wasn't sure if I had enough on it. I ended up redoing the first panel. I may have to relinquish my title as the cheapest, most shameless one here. Not! Man, that's one awesome looking truck JP! Dang those are Shameless! I think I might like this Color better than your Copper KR. Should have got Magma Red. All personal choice ofcourse but I fell in love with the uniqueness of the Magma Red recently. Sometimes your posts go over my head...not sure what MRC is. I really do like this color! Does that mean, I'm getting old??? 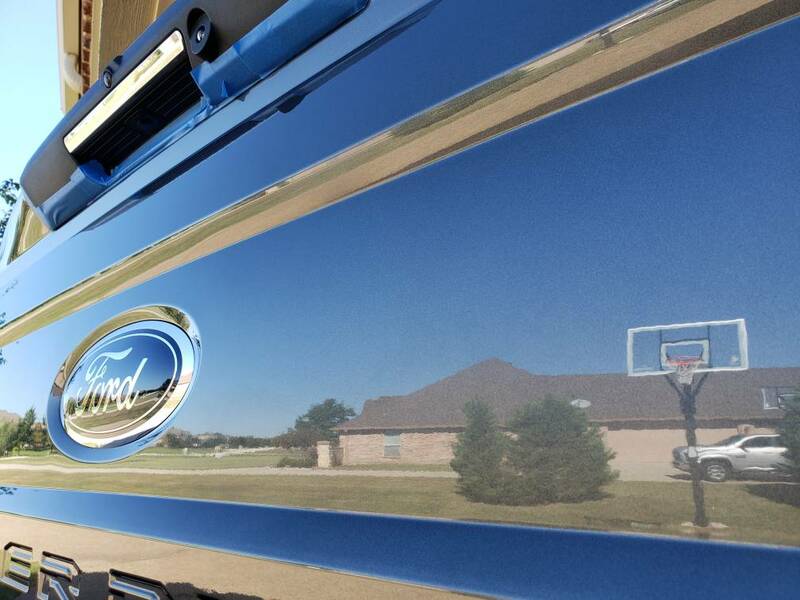 No, I really liked the Dark Shadow Metallic on my last Super Duty when it was detailed. Its pretty freaking deep. Reminds me of the Tuxedo Black a little.